This elegant, yet functional beer glass set was designed by Italian beer experts and engineered by legendary German glassmakers. 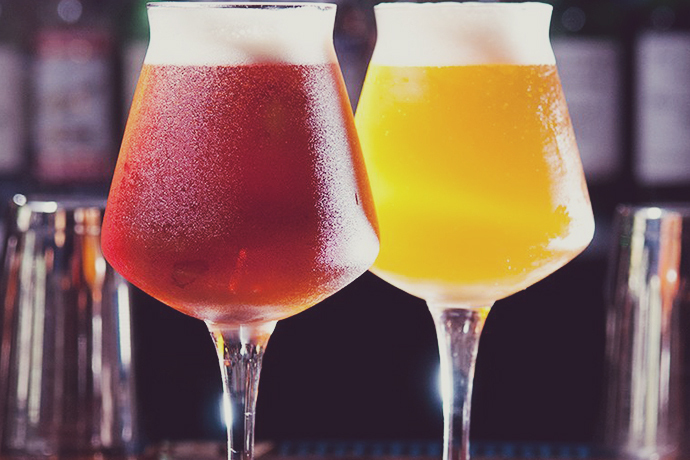 The radical curvature is perfect for tasting craft beers with a balanced feel and pleasing aesthetics. The glasses were inspired by the ISO glass used to conduct the sensory evaluation of wine. The shape enhances the aromas and tastes and allows every type of beer to be tasted to perfection. Capacity is 0.3 liters or 10 ounces. Available from Amazon. Enjoy your favorite red wine in this beautiful set of stemless wine glasses from Riedel. The glasses are only 4 7/8-inch tall and hold 21 1/8 ounces each. They are crafted from lead-free glass for clarity, consistency and affordability. The stemless design offers comfort and convenience and the glasses are dishwasher-safe for easy cleaning. Matching O Glasses for Pinot Nior and Voignier Chardonnay are also available. Available at Amazon.